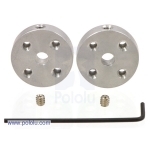 The Pololu universal aluminum mounting hub allows you to mount custom wheels and mechanisms to 4 mm motor shafts. The hubs are sold in pairs, and each hub includes one 4-40 set screw for securing a motor shaft to the hub. The set includes one Allen wrench and two 4-40 set screws for securing the hubs to motor shafts. 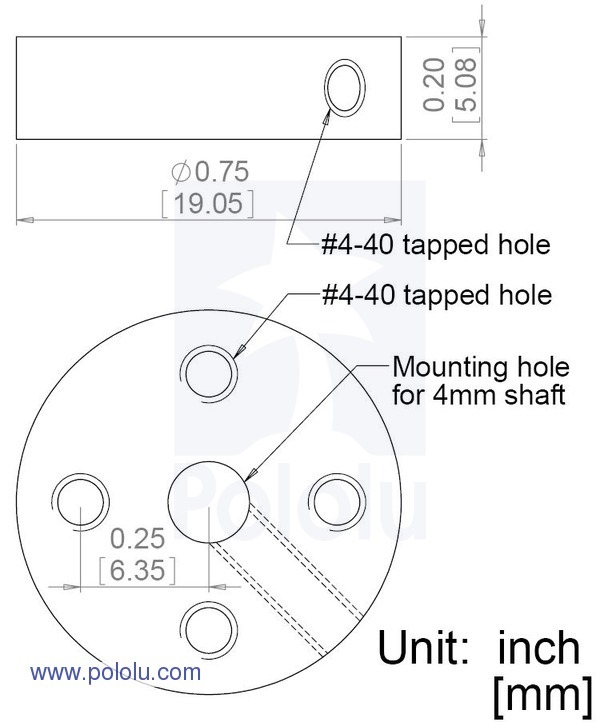 Each hub has four mounting holes for 4-40 screws (not included). 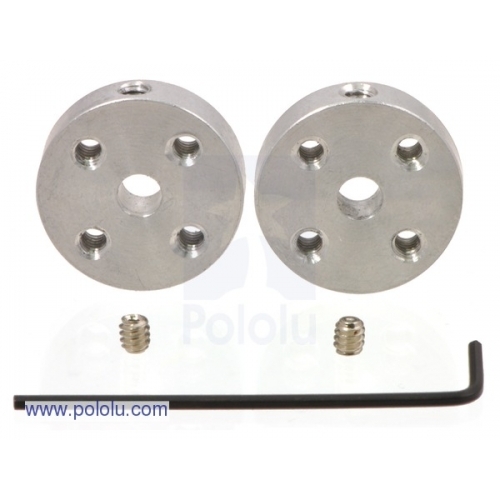 These universal mounting hubs are designed to work with most 4 mm shafts, including round shafts, and “D” shafts. 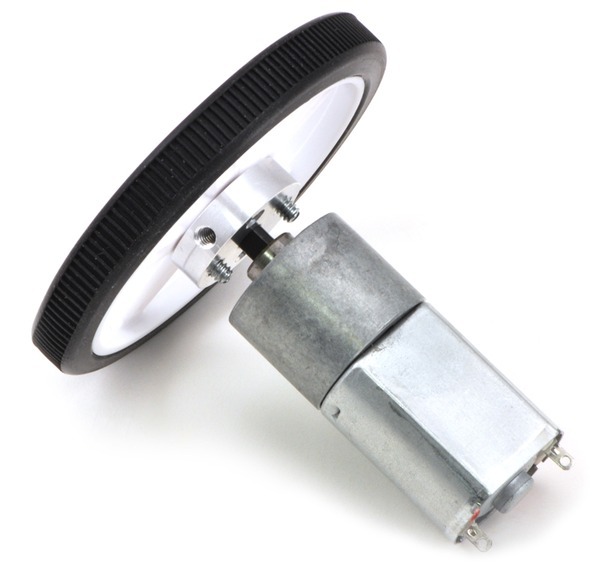 letting you mount custom wheels or mechanisms to your motors. 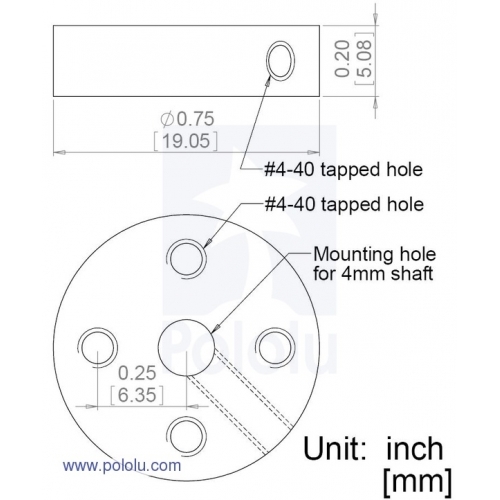 (often the smallest size in SAE Allen wrench sets) is included for use with the set screws. 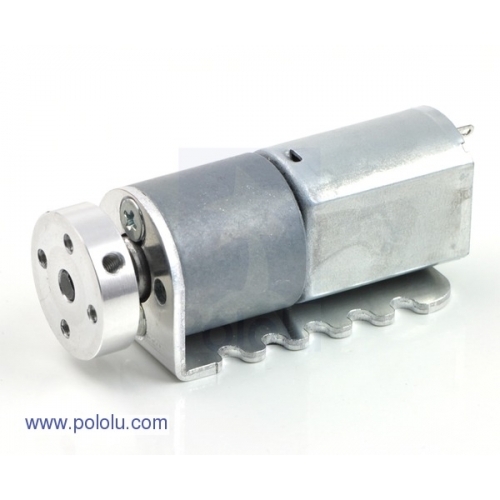 The picture to the right shows a hub with Pololu’s 25:1 metal gearmotor 20Dx44L mm and a Pololu 20D mm metal gearmotor bracket. 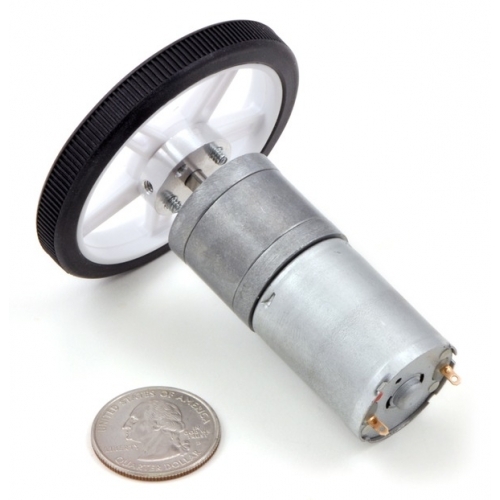 This hub will work with any Pololu 20D mm metal gearmotor.